Do you have privacy concern that there might be someone eavesdropping on your conversation or peeping at your private life with a concealed camera? These things are common occurrence today. 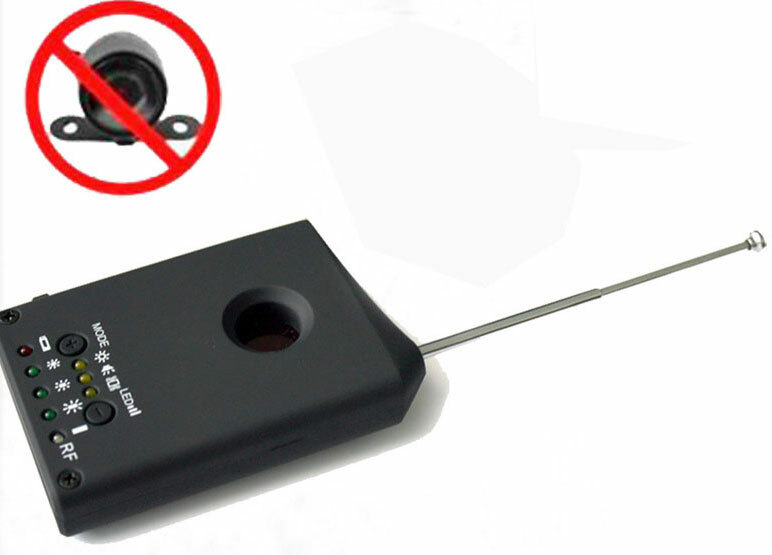 You will possibly need such a gadget to protect yourself from those eavesdropping equipments, RF/lens multi function bug detector. We recommend this specific unit to anyone because it is the combination of excellent detecting capability and user-friendly design. 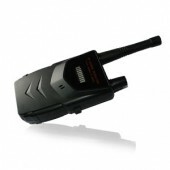 It is the ideal device for individual privacy protection. 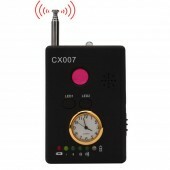 The detector can detect wireless and RF device of wide frequency range from 1MHz to 6.5GHz. For example, a wireless hidden camera within the range, you can simply use the detector to locate it and sweep them out of your life. 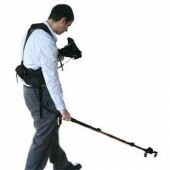 The detecting distance can reach up to 10m, depending on the signal strength of the target. 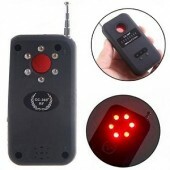 When detecting suspicious signal, the gadget will give alarms in several ways such as vibration, voice alarm, light flash etc. Additionally, there will be an earphone to keep the sound alarm to your own. You can do the detection in a convert way without bothering anyone else. The RF lens finder is also equipped with powerful rechargeable battery, which can support 5h continuous working. The detector is a gadget with efficiency and longevity. Just take it and secure you life. When IR laser detecting lights gets weak, please recharge the battery. The price is a little expensive, but i like your product. I appreciate your thoughtful after sales service.